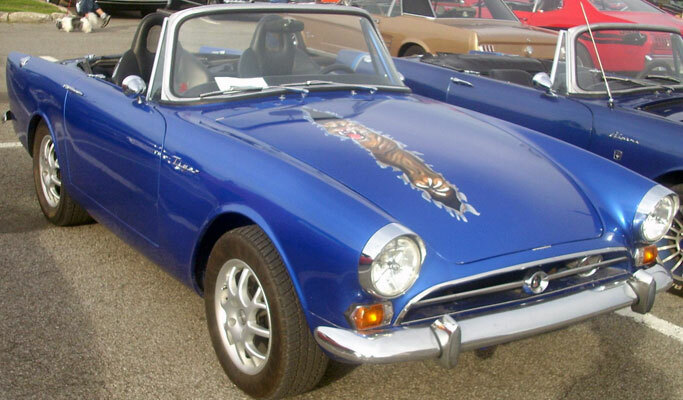 Although the Rootes Group Sunbeam Tiger is of course a British classic car, the idea of the Tiger was formed in the USA by Rootes American Motors Ltd who asked the now legendary Carroll Shelby of AC Cobra fame to build a prototype V8 sports car based on the Sunbeam Alpine. Shelby obliged by shoehorning a Ford 4261 cc V8 into the engine bay. It was no coincidence that it was the same V8 that was used in the Cobra, albeit in a milder state of tune and in this instance the engine was producing 164 bhp rather than the 260 bhp of the Cobra. 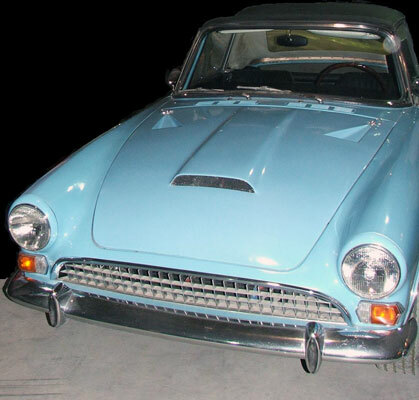 After the initial prototype was built, development was moved to the UK at the Jensen factory In West Bromwich where ultimately it went on to be built as the Sunbeam Tiger. Launched in 1964 at the Earls Court Motor Show with a price tag of £1445 (approximately £500 less than an E-Type Jaguar) these first cars are now known as the MK I and shared the same styling as its smaller brother the then current series IV Alpine. Rather unfortunately (and wrongly in my opinion) the Tiger was dubbed as the poor man’s Cobra by the less impressed motoring buffs of the time. Initially the Tiger was only available in the USA and Britain had to wait until the summer of 1965 before anyone could actually take delivery of one. 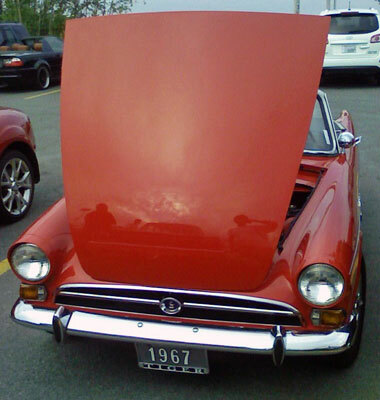 Minor changes followed later in 1965 which included improved hood storage and featured the body styling of the series V Alpine. Sunbeam aficionado‘s refer to models after these changes as the MK IA. The Mk II version was introduced in December 1966. 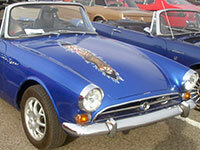 This car had a larger 4737cc V8 engine producing 200bhp. This new version was also fitted with an oil cooler and wider ratio gearbox and benefitted from improvements to the suspension. Externally a new “egg box” style front grille was the most notable change. Sadly though, the life of the MK II was to be very short. Chrysler who had already invested in the Rootes Group took over the company in 1967 and production ended after only 536 MK II cars had been produced, of which only a few were for the British market. Although Rootes UK had anticipated building this car for the American market, and after all export was very important to the company finances, a good number of right hand drive cars were purchased by discerning British buyers who demanded more performance that any contemporary Triumph of MG could offer, but perhaps did could not justify the expense of an E Type Jaguar or AC cobra. Total production of all Tigers models was 7085.